A compilation of early recordings from the finest drone band around, the wordily-titled A Bureaucratic Desire For Extra Capsular Extraction is gathered from the 1991 Extra-Capsular Extraction EP and the 1995 live album Sunn Amps And Smashed Guitars Live, infamously featuring the vocals of one Kurt Cobain. Unlike the early material from Sunn O)) (The GrimmRobe Demos especially being more like psychedelic waves of sound than doom in the usual sense) this is far easier to listen to, opening with the droning riffs and drum backing of A Bureaucratic Desire For Revenge parts I and II. As a compilation rather than an album, this will clearly be of limited value to those new to the band, yet fans will find much to enjoy in the stilted monoliths of sound represented here. The sudden, shocking vocals of A Bureaucratic Desire For Revenge Part II, for example, both Dylan Carlson’s weary country-fied singing and backing snarls and howls from another member (not listed – but I assume this is Cobain?). Musically, this is doom at its most devolved and harrowing, lacking the menace of funeral doom and instead focusing on the slow, exhausted rumbling shuffles of sound themselves. 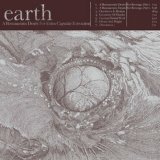 Developing in parallel with the industrial nihilism of Godflesh rather than feeding on it, Earth’s sound is much more sparse and reflective of pastoral wastelands than Broadrick’s urban horrors. Take the eighteen-minute Ouroboros Is Broken, a magnificently minimalist piece that focuses on the guitar riff first and foremost, allowing it to become the full focus of the listener’s attention as it slowly carves through your soul. There’s no other distraction, just the simple primordial beauty of The Riff, slow and worshipful, reflective of nature as a primordial void, empty of humankind. I find it so powerful, in fact, that the subsequent rather more stoner-ish Geometry Of Murder seems something of a step down, although it’s notably tuneful and will appeal far more to casual listeners. The teeth-grinding German Dental Work takes more of a bassy, low-fi, industrial tone with tapping percussion, as does Dissolution 1 which rounds out the collection. Musically, those who have gotten into the band through the likes of Hex and The Bees Made Honey In The Lions Skull will be disappointed by A Bureaucratic Desire... and indeed, unless you’re a curious Nirvana fan there’s not much that will astonish experienced dronedaries. The hints of genius that this contains, however, are more than worth hearing if you revel in the ultimate fulfilment of them later in the band’s career.